Increasing number of our customers are using our “Customer Center” / “My Account” to pay their invoices by credit card or debit card with Visa and Master Card logo. They also place their order online using our “Quick Re-Order Item” feature which lists their purchased items and gives them the ability to quickly enter the number of items they need to order and finish their order with 3 clicks. No address, shipping, or payment selection is required. 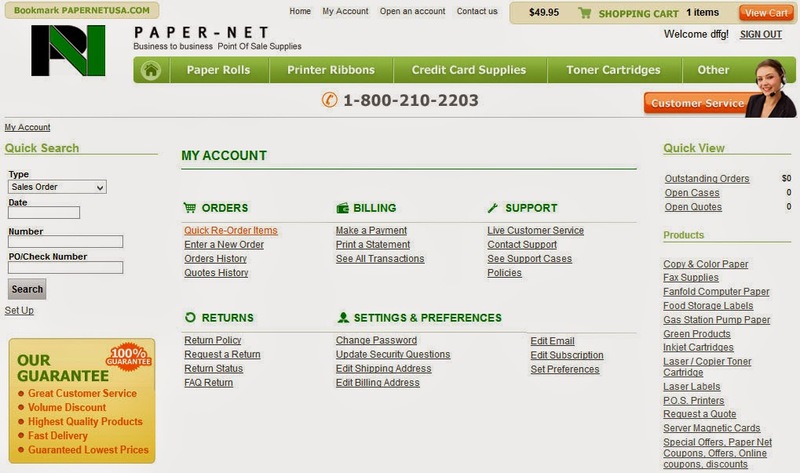 Did you know that you could also see a list of your orders, track your order, and print statements? All these options are available to you when you log in to your account on our website. Please contact us to get your current account’s password so you can log in to your existing account.